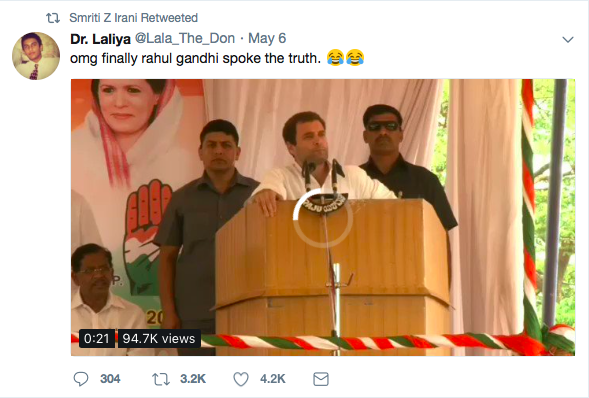 Bharatiya Janata Party MP Rajeev Chandrasekhar shared a 20 seconds video clipping on Twitter claiming it to be of Congress President Rahul Gandhi exposing Karnataka Chief Minister Siddaramaiah’s corruption. The clip was shared by a Twitter user Jayesh Jani (@JayeshJ40945918) He picked a quote, ‘आम तौर पर एक दो मंत्री भ्रष्टाचार करते हैं, लेकिन कर्नाटक में पूरी सरकार भ्रष्टाचार पर चल रही है”..! !’ from the speech without referring to the date or context of the speech. And, taking a dig at Gandhi, said that he agrees with him for the first time. लेकिन कर्नाटक में पूरी सरकार भ्रष्टाचार पर चल रही है”..!! However, the BJP MP shared the clip assuming it to be a recent one or a goof-up by the Congress President. Union Broadcasting Minister Smriti Irani also retweeted a tweet that linked the video, without offering any comment. However, BOOM found that the clip is neither a recent one nor is the Congress president accusing Siddaramaiah of corruption. The clip is from an April 26, 2013 video of Rahul Gandhi’s public rally in Tumkur, Karnataka. 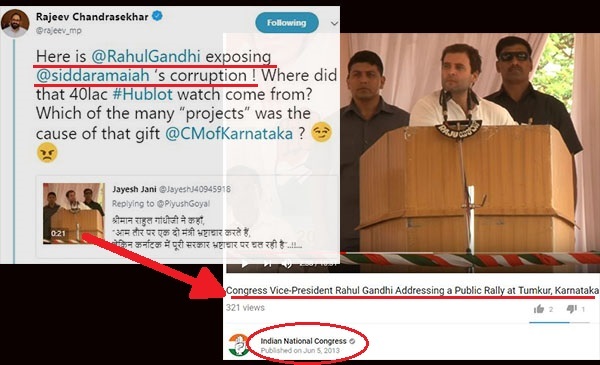 While the published date on the YouTube video shows June 5, 2013, exactly one month after Karnataka went to polls, it could be a case of late addition of the video by the Congress to its YouTube channel. The Congress ousted the ruling BJP government winning the state elections in May 2013. Several news articles dated April 27, 2013 also reported Gandhi’s statements against corruption at the rally in Tumkur. 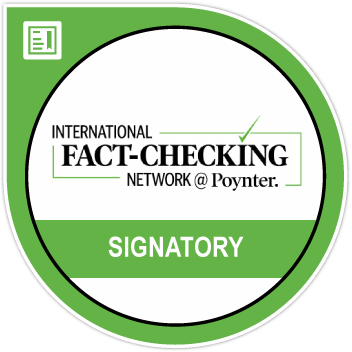 Read here and here. In the run-up to the Karnataka Assembly elections, both the parties have attempted to paint each other as corrupt. While the Congress have raised the issue of past cases of corruption against BJP’s Chief Ministerial candidate B S Yeddyurappa and the inclusion of the infamous Bellary brothers in the party, the BJP has repeatedly raised the issue of the source of Siddharamaiah’s alleged ownership of a Rs 40 lakh watch. Amit Shah and Ananthkumar, Union Cabinet Minister for Parliamentary Affairs have also rekindled the controversy by referring to his expensive watch as a symbol of Siddaramaiah’s corruption. –@siddaramaiah got #Hublot from another NRI friend Dr. Verma , as he claims, ok.
Then what "gift" did Mr. Vijay Easwaran give you, Mr. CM?